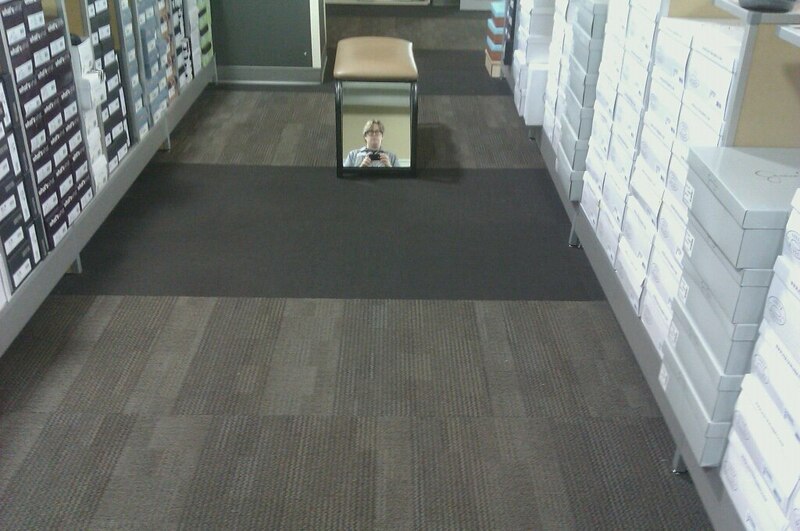 This is part of my Self-Portrait series in which I take cell phone photos of myself in public reflective services. You can see all of them here. 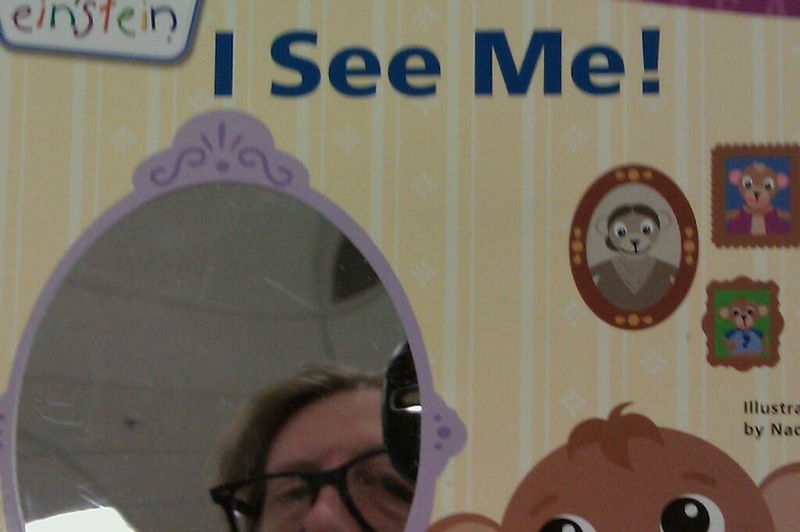 This photo was taken in a reflective surface on the cover of a children’s book called I See Me: A Mirror Board Book, written by Julie Aigner-Clark and illustrated by Nadeem Zaidi, that plays off the idea that babies get excited by looking at their reflection. 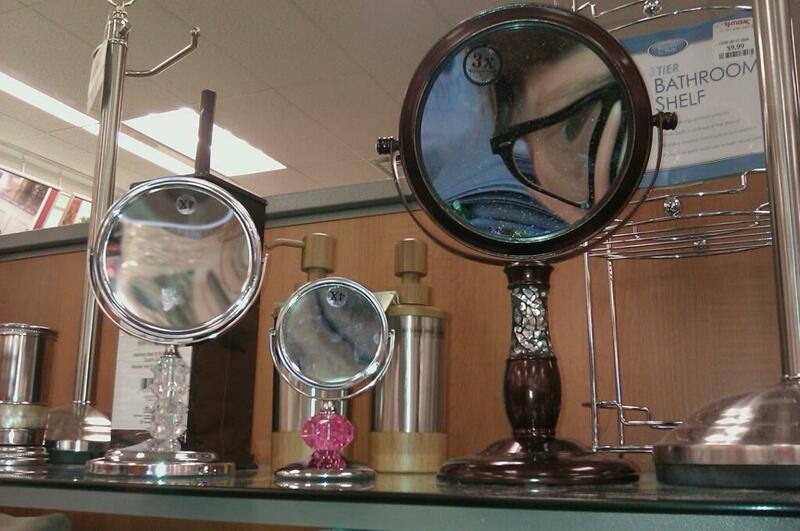 This photo was taken at a TJ Maxx in Sherman Oaks, California. Like the first Self-Portrait I posted up, this one took some doing to properly line up the distorted image of my face in the mirror on the phone camera. But, I really love how it turned out. A few months ago, I started taking pictures of myself in public reflective surfaces as a commentary on how often we run into images of ourselves while going about our business throughout the day.